If you’re looking to take the next step in your career, learning new skills is essential. At TNW Conference on May 9 and 10 in Amsterdam, you can find two days of knowledge sharing with the biggest names in tech – but if you want an extra learning experience, we have just the thing. With our Growth Pass, we’ve partnered with Growth Tribe to offer you a great discount on the ultimate experience to develop your skills. 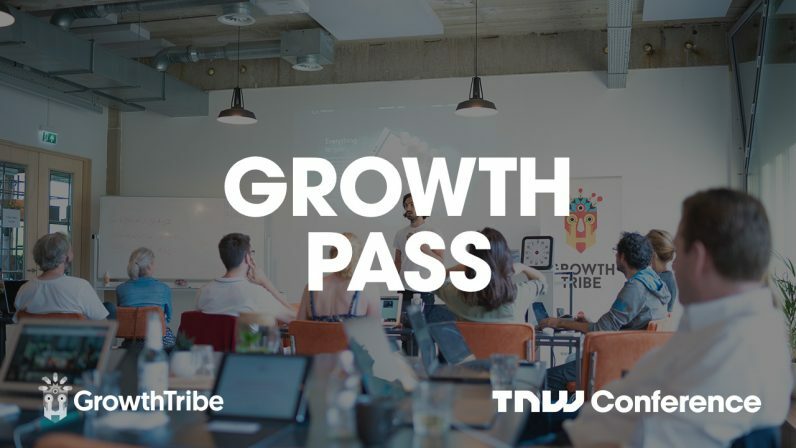 You’ll receive a full ticket to TNW Conference as well as a one-day growth hacking course by Growth Tribe. These tickets are worth €1,399 together, but we’re offering them for just €999. Growth Tribe is Europe’s fastest growing training company, which focuses on adult education and digital re-skilling. The 1-Day Growth Hacking Crash Course will help you rapidly scale your business. At the end of it, you’ll have everything you need to be a growth hacker. Make the most of your personal development with a discount – find out more about our Growth Pass and get yours now. After these three days, you’ll leave with applicable tips and tricks to implement in your career. What are you waiting for?